This is the third volume of the new series Social, Political, & Legal Philosophy and it deals with the relationship between Law and The Philosophy of Action. 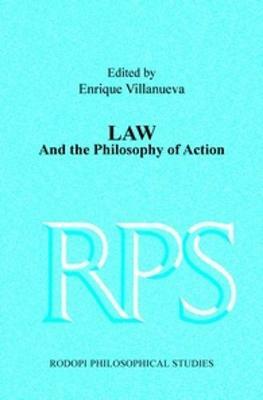 In this volume a number of legal issues are illuminated by resource to the analysis of mental concepts. Issues in Criminal Law, Contract Law, Acceptance of Legal Systems, and the nature of Legal Norms are some of the main issues dealt in the papers that constitute the volume. Conceptual analysis is used and new overtures are made into current findings in the Cognitive Sciences. All of this results in illuminating accounts that throw new light on traditional fundamental legal issues. This volume is a precursor in the powerful theorizing of the Cognitive Sciences that is being brought to bear in the Philosophy of Mind and in the theory of Law, and this theorizing will increase in the coming years.